Info: This CD is a limited (5 copies) CD, which contains all existing versions of the song "Zeit zu leben", which opened the debut CD "Time to Speak" (see above). 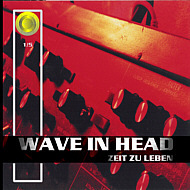 From the first layout in 1997, recorded with an 8-track cassette recorder, until the maxi version from the "Progress" single, including all hisses and noizes. This CD was and will be not available in any store nor in the net. It was raffled among the participants of the "best of Time to Speak" - campaign, where we asked the people: "which songs on this album have been the best in your oppinion". Below the yellow logo you see the number of the copy. In this case 2/5. This means it was the second copy out of 5.